Make your own museum signs, such as floor plan signs that you create in minutes, to welcome your visitors and orient them. Begin with a floor plan sketch, edit it using Adobe or your favorite word processing software, then print the sign panel and slip it into a durable SNAP® sign frame. 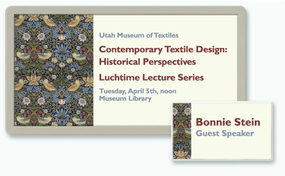 Explain what guests are looking at - with detailed, customizable exhibit signs featuring museum exhibit graphics. Scan textiles, photographs, excerpts from manuscripts or signatures. Add explanations, then print, assemble and display your reusable wall sign. And don't forget to guide them with color-coded graphics at each intersection. Internally, you can even create a paper insert desk name plate to welcome a new intern, then change it out with another diy office sign when new staff arrive. 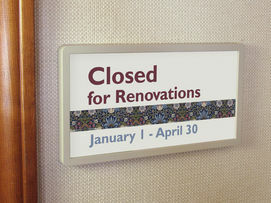 Your facility may be historic, but changeable SNAP signs are always up-to-date. Revise your museum signs easily so they're never antiquated. Print a sheet of paper on-budget. Assemble the sign on-time. And do it all, on-your-own. 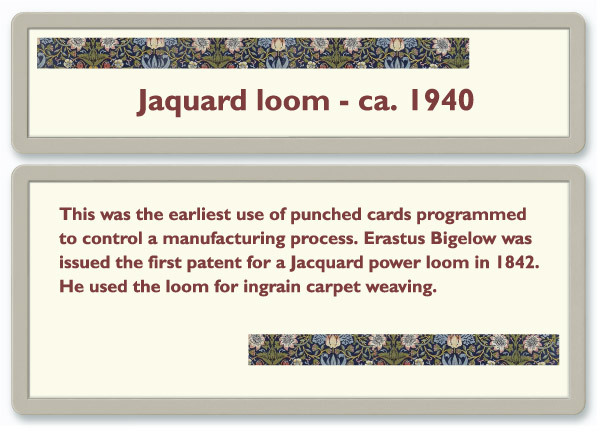 It doesn't stop with the exhibits...you can create a paper insert cubicle sign or a window insert desk name plate in a quick timeline to keep personnel happy too. Consider this...numbers are legible from about 150 times their height. Thus, a 2" high number on a changeable SNAP museum sign can be read from 25 feet. With this knowledge in hand, weave your own magic with numbers and colors that pop, whether you create a museum display sign or make your own office sign or reusable door plate. When designing adjacent museum signs for a directory, include an attractive band of color that is common to all signs in the group. Each sign's lettering can be unique, yet appear coordinated with all the others. Whether making your own reusable wall sign for a museum directory, or other message holders like a window insert door plate or diy cubicle sign, there's always room for creativity! You can easily produce a diy door sign, a printable desk name plate or any number of other eye-catching museum signs for special events, and surprise your guests with custom name tags. Now that's special! This business-card-size, bright white, opaque, high-quality paper ensures that your name badges will be as legible and colorful as your initial designs. Each sheet contains eight clean-peel name tag panels. 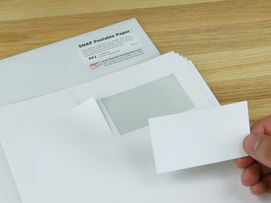 Print what you need, then return the sheet to its durable folder. It's easy to be creative - and efficient - with these versatile panels right at your fingertips. With do-it-yourself SNAP signs you can include scans of your historical association's maps, photographs and signatures. 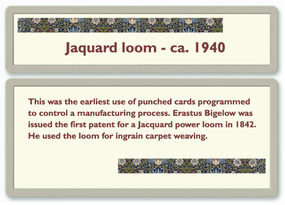 Here we've customized these museum signs by scanning a textile swatch. Some people like to add borders, too, but stay away from thick, ornamental ones that interfere with the frame and message of your reusable wall sign. You'll get better results from a thin-line border that's at least 1/4-inch from the frame. Whatever you choose for events that made history, now you make the signs! Little details are a big deal to our customer support staff at Scott Machine. Whether it's checking the dimensions of a panel of plastic or simply giving you friendly, knowledgeable advice so you can make your own office sign or diy door plate, we believe a true measure of good service is great value. Call us at 607-865-6511 and let us prove our value to you! Inform your guests about upcoming events - place reusable standing museum signs with exhibit graphics at the reception desk and along the exit paths. 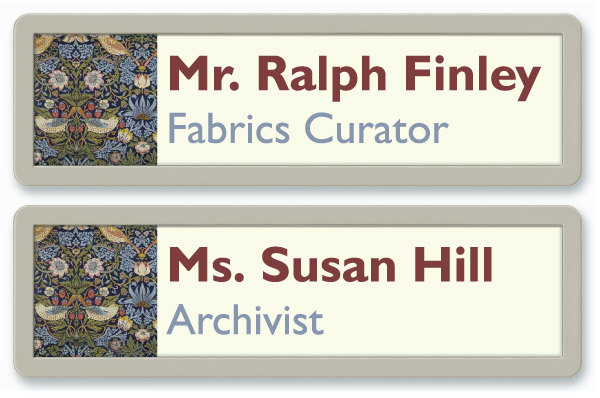 From reusable desk name plates and diy door plates, to printable insert office signs, SNAP signs usher in a new era of creativity for museum signage. Time to honor a long-term staff person? 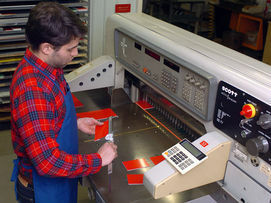 Create custom, employee-of-the-month name tags that tout their years of service. 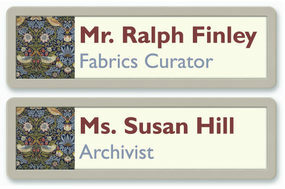 Be proactive and print name tags for docents and volunteers, too. The results are timeless!